These coat hooks are diecast, so are lighter quality than the solid brass hooks in this section. Traditional style, but good for lighter weight items. Zinc alloy finished in black. Hat and coat hook design. 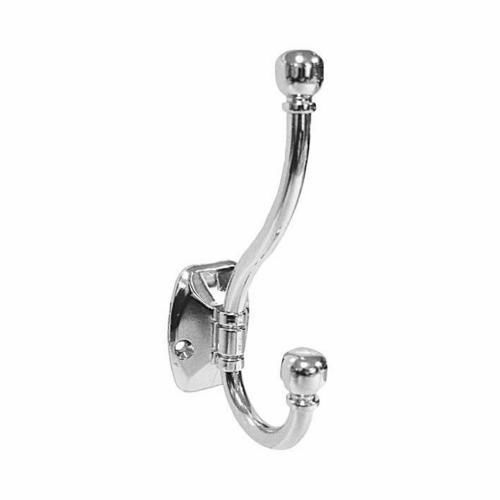 Traditional good quality, but light duty use hook with a nickel plated finish.